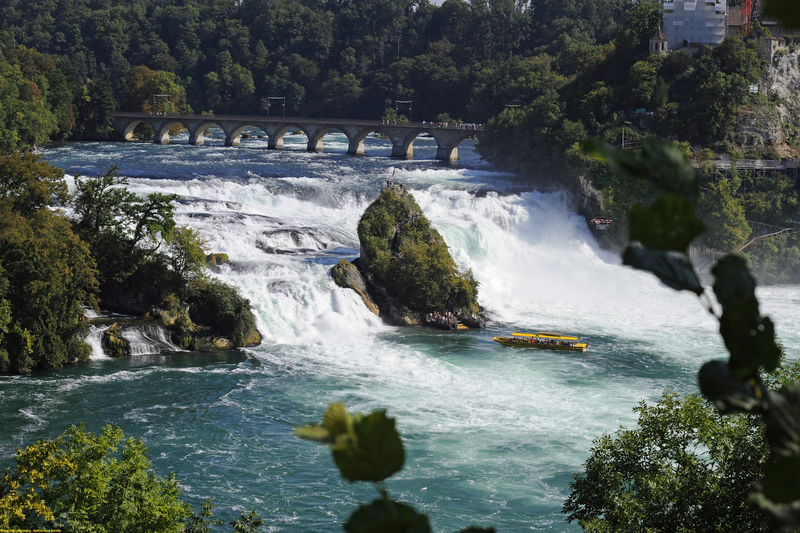 The falls are located on the High Rhine on the border between the cantons of Schaffhausen (SH) and Zürich (ZH), between the municipalities of Neuhausen am Rheinfall (SH) and Laufen-Uhwiesen/Dachsen (ZH), next to the town of Schaffhausen in northern Switzerland. The nearest community is Neuhausen am Rheinfall, where tourists can also view the Wörth Castle. Boat trips can be taken up the Rhine to the falls and the Rheinfallfelsen. 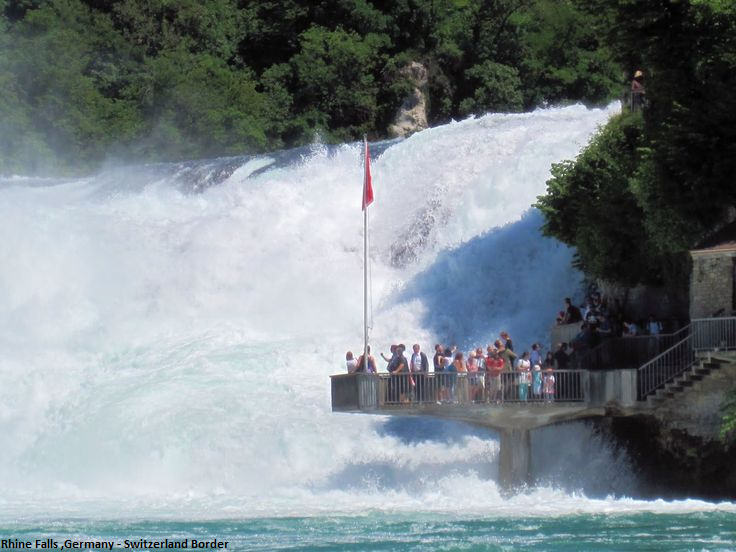 There are also viewing platforms with a spectacular view of the falls built on both sides of the Rhine. These are reached via steep and narrow stairs (access by fee on the Schloss Laufen side). Guided tours of various lengths start from Schloss Laufen on the Zürich side of the falls - a youth hostel is also located in Schloss Laufen. Various restaurants are located in Schloss Laufen, Schloss Wörth and the Rheinfall park.